CHILDREN who have been fully vaccinated against deadly whooping cough are still catching the disease because new vaccines don't protect for as long and the government doesn't pay for booster shots. Almost 2000 of the 3000 children aged under five who contracted whooping cough in 2010 had been fully vaccinated against the disease. Why? Because vaccines don't work. Almost 300 children who caught chickenpox in 2010 had been fully vaccinated, an official government report on disease surveillance has found. Westmead Children's Hospital vaccines expert Professor Peter McIntyre said one of the reasons they may have fallen ill was that the accellular whooping cough vaccine introduced in 1999 doesn't last as long as previous vaccines. Was this a major or minor reason? Journalists are masters at quoting out of context. 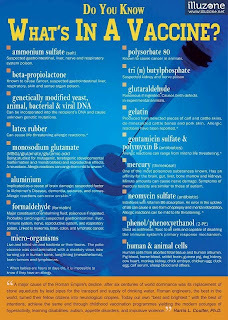 The old vaccine provided immunity for 10 years, the new one lasts less than five. "The new vaccine introduced 10 years ago was brought in because trials overseas showed it worked as well or better and it had fewer side effects," he said. "It turned out, surprisingly, that the new vaccine wears off quicker." So the trials are prone to error and the corporate media, government & certain medical professionals who may or may not be receiving kickbacks from the pharmaceutical industry want to continue to give you the 'fruits' of this flawed process. Children receive three free doses of the whooping cough vaccine - at ages two months, four months and six months - and don't get another free dose until age four. 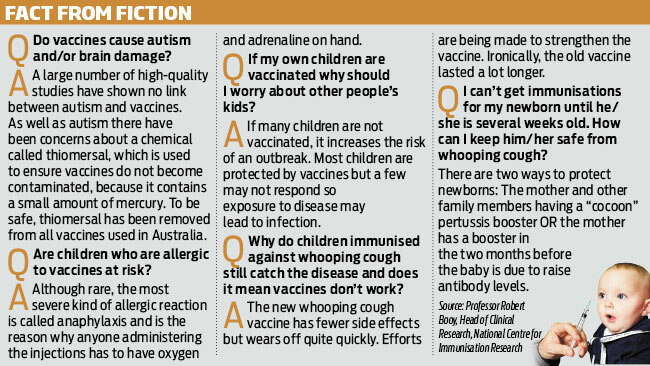 The National Immunisation Handbook said there was a rapid decline of antibodies to whooping cough two years after the vaccine is administered and vaccine effectiveness is just 60 per cent by the time children are aged three. Professor McIntyre advised parents who want to fully protect their kids to pay for a booster dose of whooping cough vaccine at 18 months at a cost of around $30. He said they should receive a second chickenpox vaccine at age two. The government's expert advisory committee on immunisation recommends booster doses in it latest handbook on immunisation released just weeks ago but said parents would have to pay for them. A spokeswoman for the Department of Health and Ageing said the 18-month free booster dose of whooping cough vaccine was withdrawn in 2003 on the advice of experts. Was this expert advice provided to the government by its lawyers on the prospect of litigation against the government by injured parties? 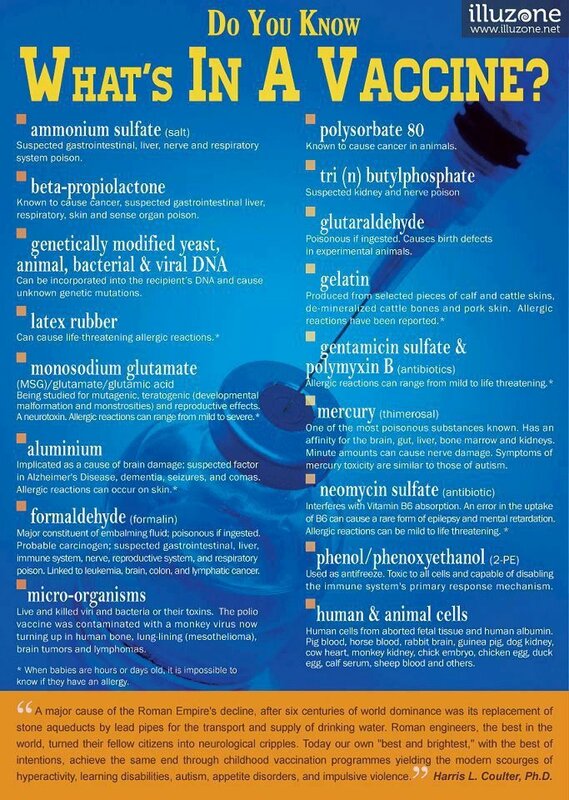 Are you aware that by paying for the vaccine you are entering into a contract? Who is that contract with? The government, one of it's for profit agencies or a private firm from the pharmaceutical industry? "The Australian Technical Advisory Group on Immunisation is considering all available scientific evidence and options to optimise protection for babies, in particular, including whether changes to the National Immunisation Program (NIP) schedule are desirable," the spokeswoman said. Are they considering banning dangerous vaccines? If not, then how are they considering "all available scientific evidence"? Or, is "all available scientific evidence" merely a political phrase? She said one dose of the chickenpox vaccine provided 95-98 per cent protection –so let me see if i am appreciating the logic of the government. It is ok for them to adopt a 'near enough is good enough' philosophy when dealing with their liability to your safety, but, when it comes to them claiming your financial liability to them, such as their speed limits, then 1 kmh over their arbitrary limit and you automatically lose the enjoyment of a presumption of innocence and the 'near enough is good enough' philosophy no longer applies. And precisely who is serving whose needs?– and a booster shot was ruled not cost effective by government. An economic decision rather than a safety one. Of course this isn't a safety issue. The Daily Telegraph is campaigning for childcare centres to have the right to ban unvaccinated children. Why? Vaccinated children face danger from the vaccine, not unvaccinated children, otherwise the vaccine is failing to protect against the disease. In fact, if the Daily Telegraph was being honest, and scientific and for the people, it would be advocating for vaccinated children to be banned from childcare centres to protect unvaccinated children from the dangers that vaccinated kids pose. So why are they pursuing a perverse position? Is Rupert Murdoch behind this? Is this part of the eugenics agenda and is Rupert a part of that? Is this Agenda 21? Professor McIntyre said a better approach would be to require parents to produce a vaccination certificate or a conscientious objection form when enrolling children. A better solution would be home schooling. Rupert Murdoch's newspaper is spending a lot of its time and energy to try to convince you to buy into its perverted political opinion. Mikiverse Health isn't buying into it. Are you? VIDEO: Should un-vaccinated kids be banned from childcare?